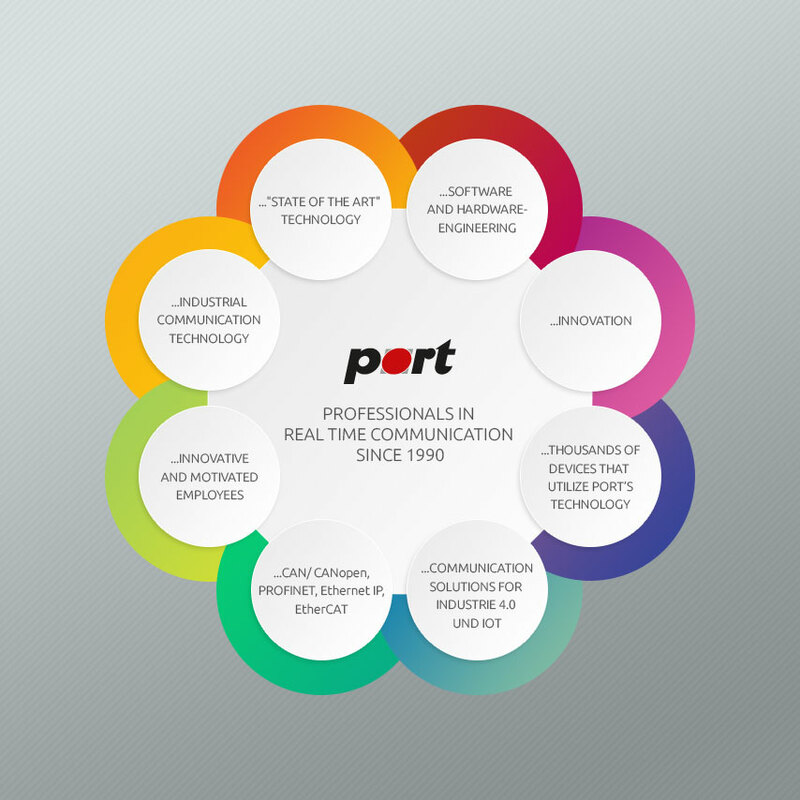 Port GmbH - a proven and innovative company in the field of industrial communication technology. Innovative and up to date - but yet 25 years old. Over 25 years we have remained true to our basic philosophy to provide stacks and tools regardless of the hardware (CPU / MCU) in different stages of development. Only the driver forming the communication interface. The performance and the price of the MCU / CPU no longer form the limiting factor for our customers. Our client decides according to its application and avoids dependencies. Port now supports more than 100 platforms, which are constantly expanding. 2009 came the first major change in a company. The founders HJ. Oertel and H.Tietz sell the company as part of the transition to retirement to Ch. Bornschein and M. Tangermann. Markets change, new technologies come into the market - port adapts. Ch. Bornschein and M. Tangermann coming out of the Industrial Ethernet and expand the portfolio of port GmbH to stacks and tools for PROFINET, EtherNetIP, EtherCAT and Powerlink. The company grew quickly to over 20 employees. Similarly, the area of hardware development is established. After several years of investment and market penetration of Industrial Ethernet technologies today form Industrial Ethernet port´s multiprotocol solutions of an essential pillar of the company. It is noticeable and foreseeable that Industrial Ethernet technologies used to all the new market conditions, prevail. IoT and Industrie 4.0 will change the automation market, the technologies and business models sustainable - port has adapted to it. Port is now a sought-after and reliable technology - partners, both for the semiconductor and device manufacturers. In addition to the "historic" business, the stack, and driver tools, today provides port on the hardware and the complete OEM development. Experienced, innovative and thinking one step in the future - and has been for 25 years.